GIS Day is an international day of recognition for users of Geographic Information Systems (GIS). 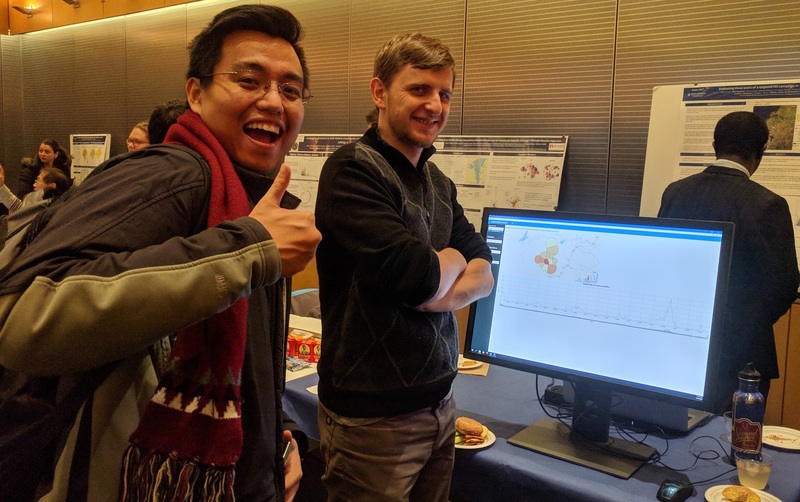 At Bloomberg School of Public Health, GIS day includes a poster session which invites faculty, students, and staff to share their experiences in GIS and highlight spatial analysis at the school and across the university. 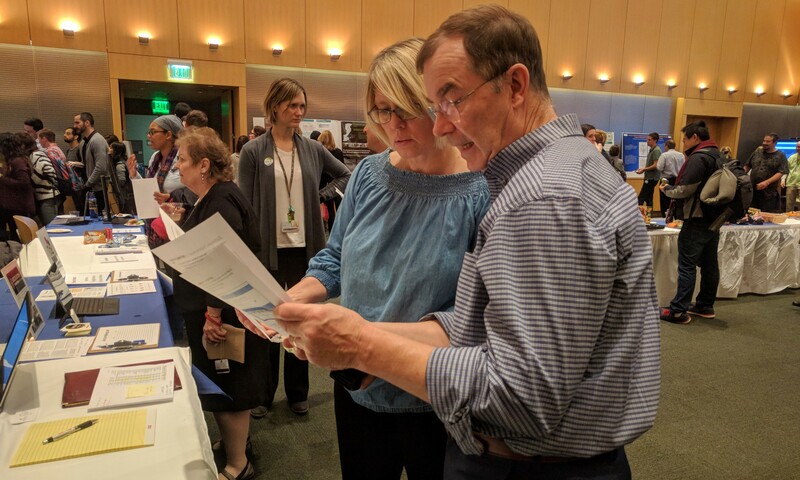 Attendants learn how spatial analysis is being integrated into our health research and practice. SSPHC research data analyst Anton Kvit presented on "Adjusted, non-Euclidean cluster detection of V. parahaemolyticus in the Chesapeake Bay." 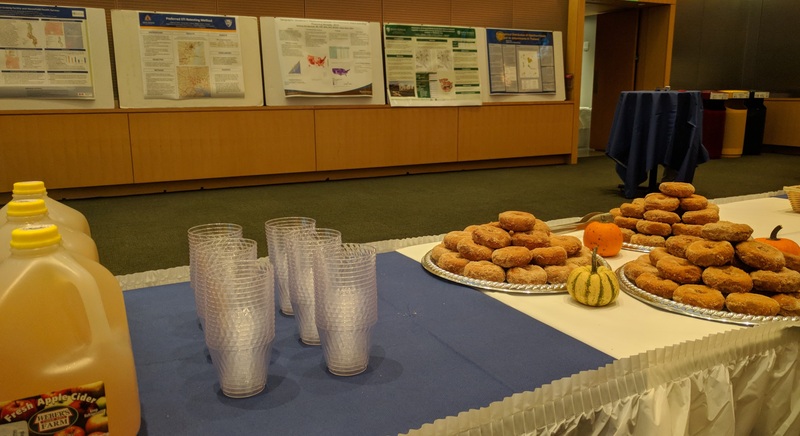 SAESS, a working research group hosted jointly by the Department of Biostatistics and Department of Epidemiology via SSPHC, has regular meetings featuring presentations related to small area estimation, spatial and spatiotemporal statistics. You may view some of the posters presented at this year's event here. If you have any questions or would like to get involved with this event in the future please contact SSPHC@jhu.edu. 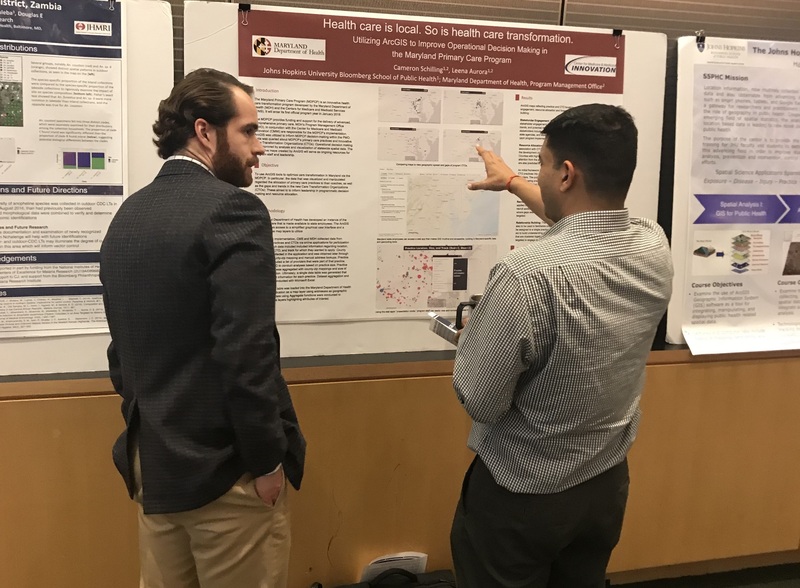 Hosted by the Bloomberg American Health Initiative, SSPHC research data analysts Anton Kvit and Anne E Corrigan presented on spatial data resources in Baltimore. This event was held from 12:15 - 1:20pm in W5008. You can view the slides from the presentation or go directly to the links to spatial data resources. 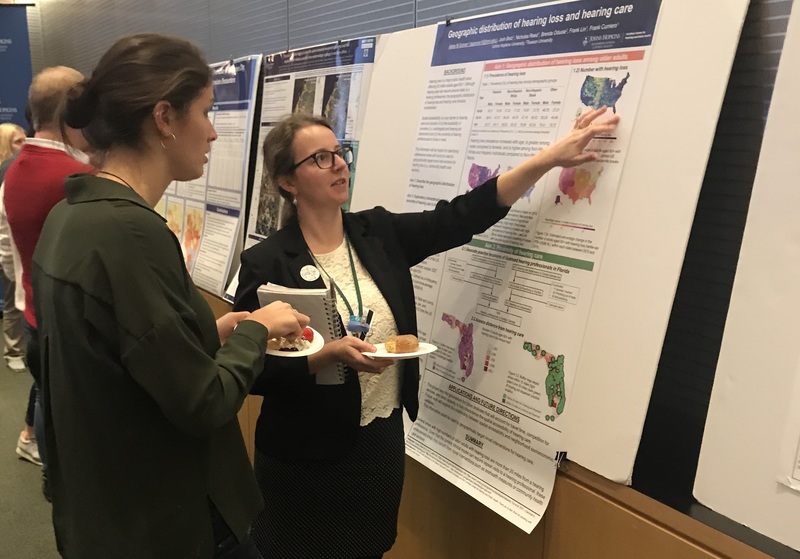 Take a look at a sample of the posters presented at the 2017 GIS day.